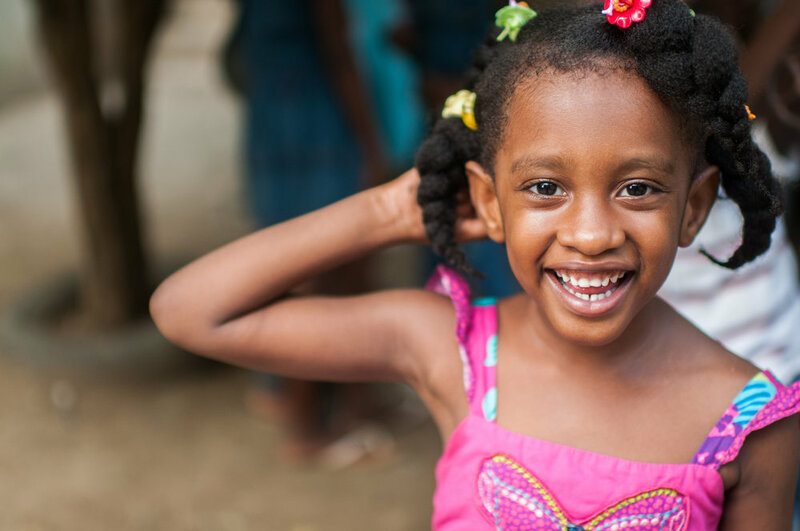 We’re pleased that you are joining Children’s Relief International (CRI) on a mission trip to Haiti. Our mission as a ministry is "To take the light of Christ to the poor." Haiti is a beautiful, historic and diverse country. 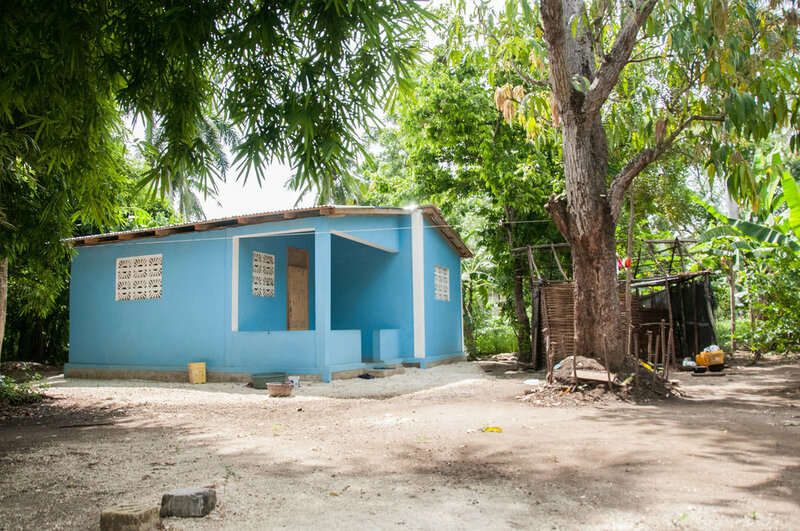 We’ve built 20 homes here over the last 24 months, and through our children’s clubs and tutoring centers, our Bible school and our hurricane relief efforts we have served over 800 people in the 5 years of operation in the region. Your team will travel to the mountainous southern peninsula. Here you will visit communities where a lack sustainable housing is normal. You’ll spend time getting to know these families and their children, learning about the life they live and the obstacles they are overcoming. You’ll also spend time at our tutoring center and put on Bible lessons and games for the children. You will visit the Bible school and hear the stories of the pastors who attend. Throughout this time you will be hosted by our national leaders, Jean and Jean Marie Joseph – these are the local leaders whose vision makes the work possible. The city of Miragoâne and the outlying village of Olivier are located in the Tiburon Peninsula in southern Haiti. Quaintly set beside a large lake, the deep poverty of these communities starkly contrasts with the surrounding natural beauty. Families traditionally survive and earn income through day labor or through growing their own food as well as sugar cane for selling. CRI's Haiti ministries are led by Jean and Jean-Marie Joseph. They are CRI missionaries who are originally from Haiti but grew up in the United States. 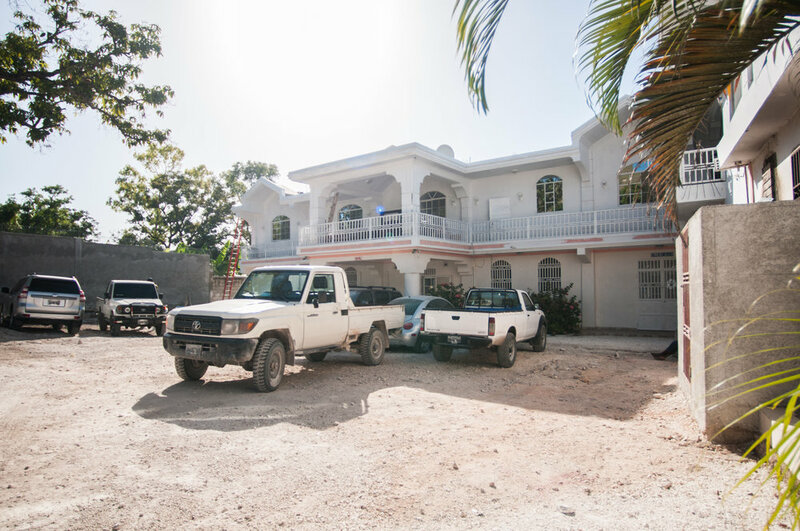 The Josephs’ passion is to help bring training to those who have none—both pastors within the Haitian churches, and to women and children who need assistance in receiving education and/or training. God blessed Jean with the opportunity to receive a seminary degree from Dallas Theological Seminary (DTS) while in the US, and now God is using him to train pastors in southern Haiti. He founded a Bible school that is now attended by close to 100 students. Jean-Marie has a degree in education and has started a tutoring center, called the Hesed Children’s Club, for at-risk children who are from the poorest families in the community. There are over 40 kids currently enrolled. She and her staff work with these children four times a week—tutoring, mentoring, and providing Bible lessons, and providing food and nutrition. Jean-Marie also disciples women who live in oppressive circumstances through her women’s ministry. They meet regularly for Bible study and prayer, bring in special guests for teaching conferences, and award incremental microloans to those who are interested in starting small businesses or pursuing a trade. We also build homes in the community of Olivier for families selected from those with children attending our tutoring center. Many own land and some even begin purchasing materials like concrete blocks in order to build a home over time, but it can take years before they are able to actually start building. CRI expedites this process by helping to construct simple, decent, and affordable homes with the direct participation of the families. Qualification is based on their needs and income and is determined by the Josephs and their staff. Families are also taught basic financial management and stewardship skills throughout the process. A Green Door home provides a sense of security for families and their children. It allows these kids to rest at night only to excel that much more in their education. It also is a tangable expression of Christ's love to the community. Trips typically last 5-7 days. Depending on airfare and other ministry considerations the length may shift slightly by a day or two, but each team member will be contacted if this becomes necessary. You will leave from the US on an early morning flight, and arrive in Port-au-Prince, Haiti early in the afternoon. It is about a 7-hour trip from most US locations. You will then drive 2-3 hours to Miragoâne, arriving in the early evening. At the end of the trip you will fly out of Port-au-Prince and arrive back in US in the evening. The trip cost is comprised of 3 components: flight, in-country costs, and the $150 application fee. We find that the airfare is typically between $750—$950. The in-country costs vary depending on the length of the trip, ranging from $750 for a 5 day trip and $925 for a 7 day trip. This includes your hotel, food and water, insurance, tips, translators, and transportation. We're estimating the total cost to be approximately $1,600—$1800 per person for a 5 day trip and $1,800—$2,000 for a 7 day trip. The opportunities to serve with the Josephs are as varied as their many ministry initiatives. You may come ready to paint, sand, and finish work on a Green Door house. You may play with kids, teach a VBS, share your testimony, and distribute food to the families. Or you might teach pastors a concentrated seminar surveying the Old Testament! Every day will be different, but important. Expect it to be sunny and HOT. Shade is limited. Heavy water consumption is a must all day long. You may want to bring electrolyte replacement powders. We will stay at a the Chez Den Lodge, a local hotel in the city of Miragoâne. It is relatively new hotel with working air conditioning, cable, and wifi internet. The rooms are spacious and nicely accommodated. They have their own restaurant on-site, and breakfast is included with your room. On a clear morning, you can sit on the back deck and catch a beautiful sunrise while listening to the goats and chickens in the surrounding village. We will hire a 15-passenger transit wagon to make the 2-3 hour drive from Port-au-Prince to Miragoâne. We use experienced drivers who know the roads. We will also do some walking in the village where we are working, so bring shoes that are appropriate for a construction site, but also comfortable. Haiti's climate is tropical and you will experience the meaning of this firsthand. It’s hot during the day, expect highs of around 87°F. It can be cool at night and in the early morning. We suggest bringing a sweatshirt and a light rain jacket in case of rain. See the packing list included in your registration materials for more helpful tips. In summary, Haiti is generally a hot and humid tropical climate. We’ll eat breakfast and dinner together in the hotel. Lunch is at the work/ministry site. We will break bread together with the home recipients, the Haitian construction workers, the children, and the men and women to whom we are ministering. We hope to become familiar with their lives and culture firsthand. We also suggest bringing some granola and power bars to snack on through the day. There is always a risk of getting sick eating foods your body isn’t used to, so if you have a sensitive stomach we strongly recommend that you bring pepto-bismol and stick to the foods that we provide. We will provide fresh spring water. You don’t need to bring purification tablets, but please bring a reusable water bottle. Working with national leaders precludes many potential problems. They are deeply entrenched in the community where we work. We regularly send teams without incident. But it’s important to understand that there are risks involved with traveling to the areas where we work as they are remote and the facilities are basic. Exercise caution and common sense. Let us know if you see anything unsafe. In the rare case that an injury or sickness occurs, please tell us right away so we can make sure you get the proper care. Evacuation insurance is a part of the in-country cost that you raise (see section below). In the event of a medical emergency or an emergency due to weather or unrest the proper channels are in place to safely remove individuals and teams from any immediate danger. There are no required shots to enter Haiti, but most people volunteer to get the basic ones just to be safe. We recommend that you visit the CDC website and/or a specialized travel clinic to determine which immunizations are right for you. Malaria medicine is strongly encouraged, as there is a moderate risk of malaria in Haiti. For the most up-to-date information on health conditions, required medications and immunizations, please visit the Center for Disease Control and Prevention website at www.cdc.gov. We recommend bringing Immodium or similar diarrheal medicine, Advil or an equivalent, and a Z-Pack. It’s very dusty, so allergies are possible. Pack bug spray with either Picaridin or DEET. Pack your own antibiotic, which you can get by visiting a doctor and getting a prescription. You’re welcome to take pictures, but don’t forget to put the camera down and be present as well. Our leaders will document the trip and will make those photos available after you return. You will have access to power throughout the trip though it is not uncommon to experience occasional power-outages for short periods of time. We recommend bringing a flashlight or headlamp with you for late nights and early mornings. You do not need to bring any power/plug adaptors. The sockets at the hotel are the same as in the U.S. Throughout the trip, we’ll have access to Wi-Fi in the hotel foyer, but it can be unreliable. So plan as if you may be offline for most of the trip. You can use your own international data plan but keep in mind that coverage can be spotty and expensive as we travel in rural areas. A cost and payment schedule for the flight and in-country expenses will be shared with you at your first team meeting. Each team member is responsible to pay these expenses before the trip. All team members will be enrolled in an emergency medical evacuation policy and a policy covering weather and civil unrest before the trip. Proof of insurance and a list of emergency contact numbers will be provided at least one week before the trip. Keep your personal insurance card with you during the trip as well as the emergency medical evacuation travel insurance card. You’ll be solely and personally responsible for any payments or charges not covered by the insurance. You do not need a tourist visa or any other visa to travel to Haiti. There will be a $10 tourism entry fee, to be paid at the airport. Expect to be inspired and humbled by the people you will encounter. The families you help will express their gratitude for their home. They might also ask for something else to help them or their community. We know you’ll want to help, but please don’t make any commitments or promises without discussing the request with CRI directly. It’s important that we’re able to work with our partners, the Josephs, to be strategic about what projects and programs we fund and make sure we’re making the biggest impact possible in line with their ministry's vision. Foreign laws and legal systems are vastly different than our own and we are expected to abide by them. In particular, many of the countries in which CRI operates deal harshly with possession or use of any illegal drugs. It’s your responsibility to comply to their laws. If you have any questions, just ask.